Yokogawa acquires TechInvent2 for provision of chemical injection technology for precision control in the oil and gas industry. Yokogawa has acquired TechInvent2 AS, a Norwegian enterprise that holds the rights to FluidCom, a chemical injection metering valve (CIMV). FluidCom prevents blockages and corrosion in oil wells, pipelines and other facilities and employs a patented technology for thermal control. It incorporates the functions of a mass flowmeter, control valve, and valve controller and has very few moving parts. FluidCom has already been delivered to several major international oil and gas companies. With TechInvent2 joining the Yokogawa Group, Yokogawa will now target delivery of this product to the oil and gas upstream and midstream sectors, thereby helping to improve operational efficiency, reduce operational costs and enhance health, safety and the environment (HSE). Yokogawa will continue to focus on the oil and gas industries and will strive to strengthen its products.At oil wells and pipelines, efforts to ensure a secure oil flow path (flow assurance) play an important role in maintaining production efficiency. The adherence of various chemical substances to the inside walls of a pipe can reduce its internal diameter and cause corrosion. To prevent the accumulation of substances and corrosion, certain chemicals must be injected into the pipes. Improving the efficiency of this process is a major challenge. Chemical injection valves have traditionally been manually operated, although there are cases where chemical injection has been automated using actuation. In the former case, the valves must be frequently opened, closed and adjusted by plant personnel. This is costly as it necessitates the hiring of additional staff and it is work that must be done under very harsh environmental conditions in the field. It is also a well-known problem that inaccurate and unstable dosing of chemicals leads to additional operational costs and challenges with specific processes. To address and resolve such problems, there is an increasing demand for integrated automatic injection that performs in a stable fashion and offers a high level of precision in the dosing. 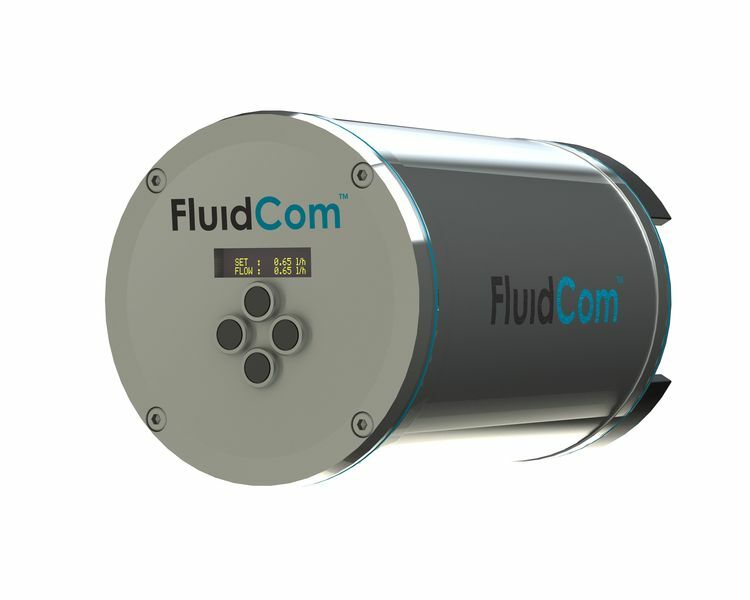 FluidCom’s CIMV has a unique design which is based on a patented technology, providing integrated flow control and metering using a unique combination of material and thermal effects. FluidCom is a fully automated and reliable device with a simple design that performs autonomous valve control and continuous flow metering.